The A-Team are back! Before you see their return on the big-screen, thrill to this special mission told in comic book form only! 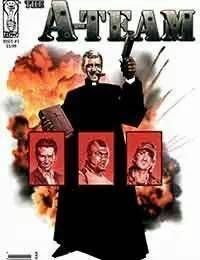 After a successful-but harrowing-completion to a mission in icy Alaska, Hannibal and the team are up for some much-needed leave in sunny San Diego to attend the wedding of a high-ranking U.S. official's daughter.<br />But when threats are made against the event, the A-Team is forced to quit their vacation and go undercover to foil what might be a terrorist plot.